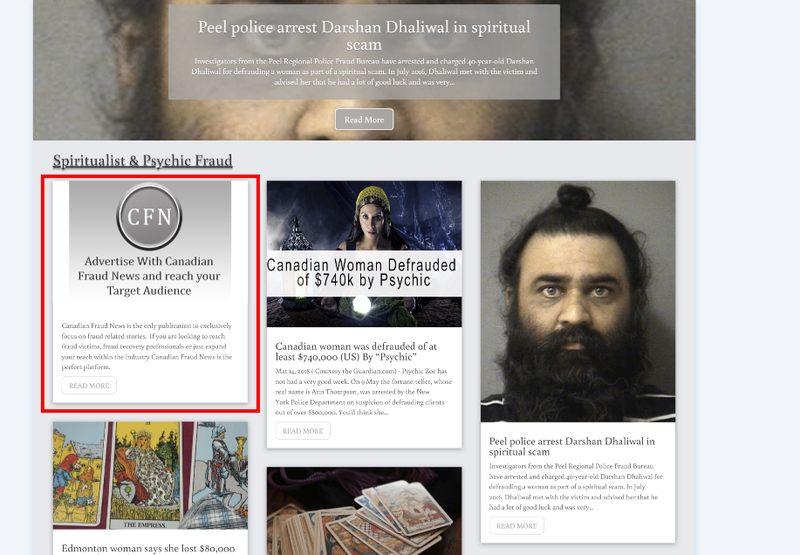 Canadian Fraud News is the only Canadian site of it’s kind, by focusing exclusively on fraud related stories we have a very targeted and engaged audience, making Canadian Fraud News the ideal place to advertise to reach your target demographic. We have a variety of advertising options ranging from display ads to publishing press releases, that are sure to meet your specific needs. We offer analytics with all of our advertising packages allowing to you to determine how your ad-units are performing. As part of our advertising solutions we offer the publishing of press releases. Whether it is announcing a successful decision, launching a new product, or you are simply looking to gain more exposure we have a package that fits your needs. 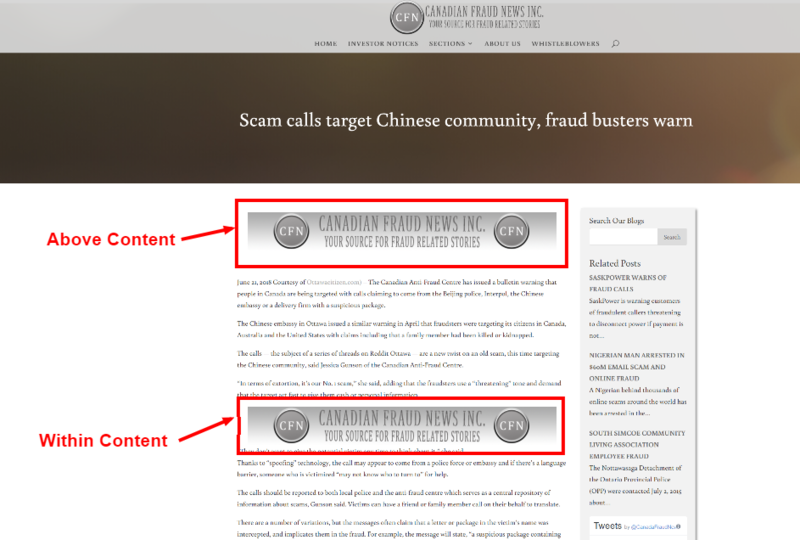 As with all of our advertising options we provide analytics to let you know how your press release is being received. All press releases are subject to editorial approval. Unlimited backlinks with user defined anchor text. Indepth analytics including: Impressions, views, and internal link click-through rates. Up to 5 backlinks with user defined anchor text. We offer a variety of display ad locations and formats. Whether you would like your ad displayed on a certain section, inline on a post, or on every page we have a solution that will fit your needs.